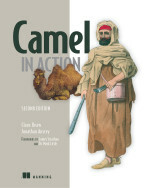 Thanks for the shout out, keep out the awesome work with Camel! The webinar will show how to simplify integration by creating enterprise integration patterns and processes in FUSE Integration Designer, an easy-to-use Eclipse-based integration tool, and deploying in FUSE Mediation Router, a fully productized and supported distribution of Apache Camel. Where can I get source code for webinar example?